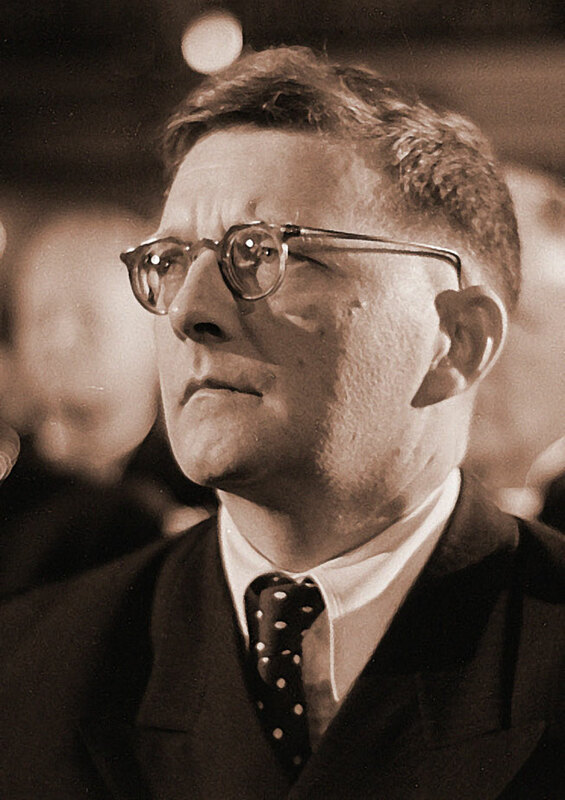 Dmitri Shostakovich – Came along at a time when the world needed him the most. Back to premiers this weekend. This one; the Western Hemisphere First Performance of the 2nd String Quartet of Dmitri Shostakovich. 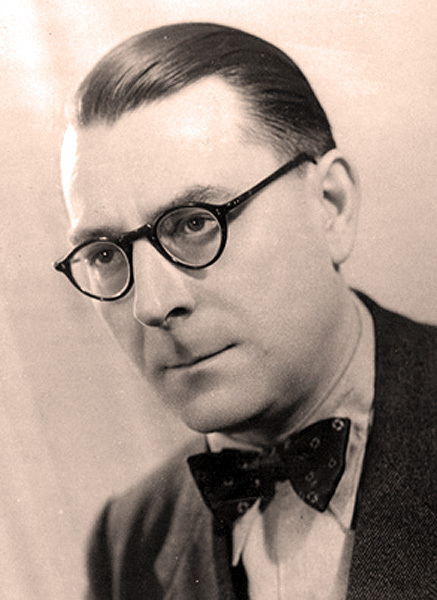 Regarded as one of the most important Modern Composers of the mid-twentieth century, NBC Radio devoted several broadcasts premiering Shostakovich’s small ensemble works. This premier of the 2nd String Quartet took place on March 17, 1945 featured the somewhat fictitious NBC Symphony String Quartet, which consisted of first chair members of the String Section of the Symphony, but who were also members of other prestigious groups. Mischa Mishikoff and Daniel Guilet, violins – Carlton Cooley, viola and Benar Heifetz, cello. It’s interesting that a commercial network, like NBC would devote much time to the cause of performing arts. But then, it wasn’t at all unusual at the time, and a point of pride, that mainstream media was concerned with the cultural well-being of its audience. NBC was only one who devoted numerous hours in the course of a week to the cause of stimulating brains. CBS and the fledgling ABC (offshoot network of NBC in 1945) were very much doing the same thing. Can’t exactly say that would happen now, under any circumstances. But not in 1945 and certainly not with Dmitri Shostakovich. Here is the Western Hemisphere Premier of the 2nd String Quartet of Dmitri Shostakovich as performed by the NBC Symphony String Quartet, on March 17, 1945. Boris Blinder, along with his Brother Naum, were responsible for a lot of first performances of new music in the 1930’s and 1940’s. More Contemporary music of the 20th Century this week. 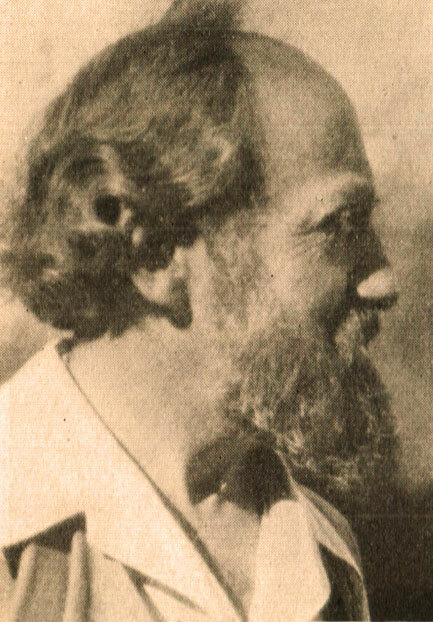 Michel Michelet, a native of Kiev, who first migrated to Germany and then, with German persecution of Jews, fled Germany and wound up in the U.S., most notably in Hollywood where he established a substantial career for himself as film composer, writing the scores for some 100+ Hollywood and Overseas movies. But outside of film, Michelet is virtually unknown. And this weekend’s Gramophone post features one of Michelet’s Chamber works for Cello and Piano. 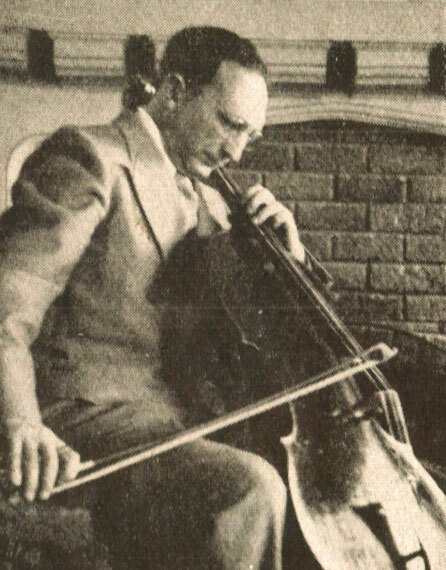 Ten Preludes for Cello and Piano was first premiered in San Francisco in 1942, with San Francisco Symphony Principal Cellist Boris Blinder as soloist. Blinder is joined on this recording by Pianist Isabelle Hesselberg. It was issued around 1945 by the independent Southern California label ALCO Records – a label devoted to first performances and out-of-the-way repertoire and featuring some of the most notable artists of the time. Boris Blinder, along with his brother Violinist Naum Blinder, were responsible for many first recordings of new works and did a lot to further the cause of Contemporary music on the West Coast of the U.S. as well as the rest of the country. I don’t believe this recording has ever been reissued in any form, other than the original 78’s, and I don’t believe it’s been recorded by anyone else since. So on top of a discovery, it’s also a complete rarity. 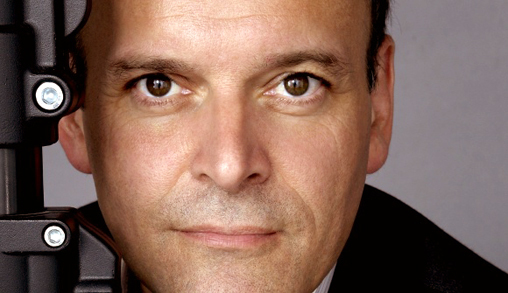 Louis Lortie – Specialist of the Romantic Period. Over to Torino again this week, for a concert by the La Scala Philharmonic, conducted by Andrea Battistoni and featuring French-Canadian Pianist Louis Lortie in a rather short and straight-forward concert, recorded live from the stage on September 17th. Lortie is good, as always and the audience is enthusiastic. The orchestra is a little creaky in spots, but it’s live and on-the-fly, and that’s what always makes it interesting. Ernest Bloch – considered one of the Avant-Garde American Composers in the early 20th Century. A few years ago, when I first put this piece up on Newstalgia, a lot of readers expressed happiness over its inclusion, but weren’t too thrilled about the sound of the recording. Truth was, at the time the audio player I was using at my old site wasn’t very good – it was great for speeches and spoken word, but it blew chunks as far as music was concerned. Several of you have written asking if it were possible to re-post a lot of the old 78’s I had originally put up on the old site and this weekend it’s one of them. The Concerto Grosso for Strings and Piano by early 20th Century American composer Ernest Bloch, in what was the world premier recording for RCA-Victor in 1931, featuring the Curtis Institute Ensemble conducted by Louis Bailly. Not a big seller in its day, and never seeing the light of reissue as far as I know, but with the seemingly millions of small labels and on-line fans, you can never be sure, this may very well be (aside from the earlier post on Newstalgia) the only available recording of this piece. And with the new player, hopefully it will get a few new fans. Fernand Oubradous – led one of the most influential ensembles of the 1940’s and 1950’s. Click on the link here for Audio player: Challan – Concerto Grosso for Three Trumpets & String Orch. Another of the lately-less known French composers featured this weekend. Rene Challan is probably better recognized among collectors as the producer of some of the great recording sessions to come out of France in the 1950’s and 1960’s, associated with EMI France (Pathè Marconi). But he was also a talented and widely respected composer whose works haven’t been performed much, if at all, of late. This weekend’s post comes from the seemingly endless mountain of French Radio transcriptions of the 1940’s and 1950’s and features Challan’s Concerto Grosso for Three Trumpets and String Orchestra, with Roger Delmotte as one of the trumpet solos. The orchestra is led by the legendary performer/conductor Fernand Oubradous, whose numerous Chamber recordings for various labels in France in the 1930’s,40’s and 50’s were virtual benchmarks for many works being recorded for the first time. This radio performance, from an unnamed concert venue and with an equally unnamed date, figures to be around 1948. The work itself was premiered in 1945 and I suspect this was one of the first performances of that piece. I am not sure if the work has ever been made available commercially and certainly this transcription hasn’t seen the light of reissue. So this may be something of rare treat for the curious. A word of caution though – since a lot of these discs were stored in less-than-ideal circumstances, it may take an adventuresome spirit to go along with the curiosity. Sometimes the technical limitations of the actual performance recording are only magnified by the rotten sounding discs. But who says for Art you don’t suffer? But honestly, it will take about 30 seconds to get used to and the piece itself is worth hearing. But I had to give you a heads-up. 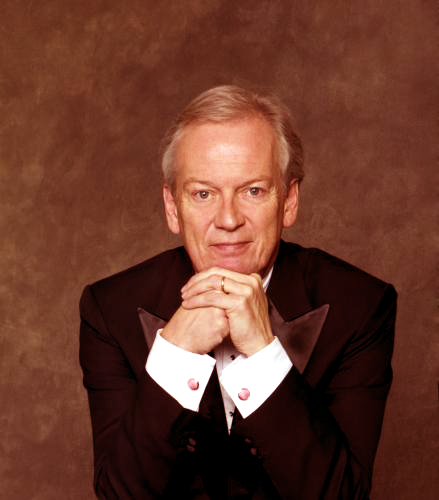 Howard Shelley – Leading the orchestra from the keyboard, making magic. Since we’re still hip-deep in Festival season throughout Europe, I had to put this one up this week. An absolutely wonderful concert from the 2012 International Chopin Festival, featuring Concerto Köln lead (from the piano) by Howard Shelley. The music played at this concert has been seldom performed, and I confess to not being all that familiar with two out of the three composers featured. So it’s an adventure tonight, and a worthwhile one. Concert donné au Philharmonic Concert Hall de Varsovie. The concert was broadcast live as it happened from the stage in Warsaw by Polish Radio and relayed to Radio France Musique, which will explain why there are simultaneous Polish and French announcements going on, and it can get a little crazy – but I did cut the announcements down in order to save time. I thoroughly enjoyed this concert and I hope you do too. And if you are feeling inclined and adventuresome, click on some of the links to the right of this post, especially the one for Radio France Musique – there is a whole world at the other end of the mouse. Vilde Frang – rising young star – hasn’t had time to slow down. 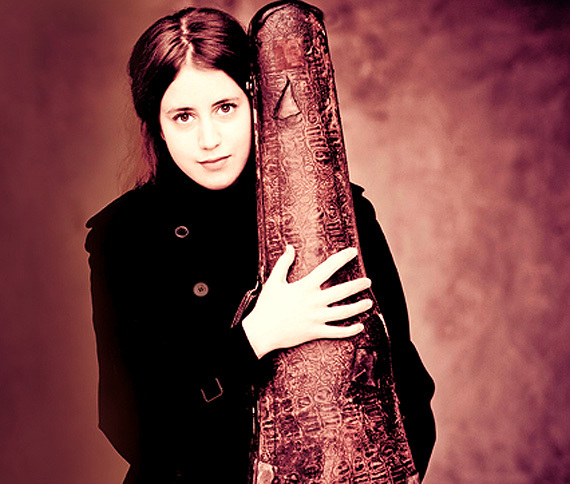 Over to Bad Kissinger in Germany this week for a concert recital from the Kissinger Sommer Festival by rising-young-star-wunderkind Vilde Frang in a program of music by Mozart, Brahms and Prokofiev. The concert was recorded on June 24th for the ARD Radio Festival 2012 going on throughout Germany this month. A delightful concert by a remarkable new talent on the musical horizon. I’m wondering if there has been an explosion of new talent these past few years or if it has always been that way and we’re just more aware of it now because of the Internet and Streaming audio? Every radio outlet I’ve been listening to in Europe seems overflowing with up-and-coming instrumentalists, performing groups, conductors, singers -it’s running the gamut and the talent is quite extraordinary. It certainly gives hope for the future, and it’s doing a pretty good job of dispelling some cynicism about our culture in general. And that’s a good thing.